Daylight Savings Time has me all messed up. Talking about DST is almost as boring and futile as talking about the weather, but we all do it because the time change interrupts our habitual patterns and preferences. 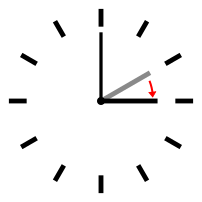 Love it or hate it, DST provides two important reminders: 1) how cranky people get when they have to change, and 2) how flexible and adaptive we are. What is in the foreground today — the felt lost hour of sleep, the kids or cats not moving with the clock — will fade into the background in just a few days or weeks. We’ll all go on as if nothing happened. I contemplate this twice a year while I am adjusting, or not, and am no closer to understanding why it’s so difficult for me. The “springing forward” is awkward and even upsetting. My sleeping patterns, usually reliable, go completely bonkers for a couple of weeks. Even though we have plenty of warning that the time change will occur, the Morning After is never easy. I feel as if THEY have “sprung it” on us, in a huge bureaucratic “gotcha!” by the Keepers of Time. We’re passengers on a catapult, being hurled into the future, with no assurance of a soft landing. In a few months, the “Fall Back” will also disrupt the status quo. The fear of falling is fundamental, and we’ll do almost anything to avoid it. Most people snuggle down for the extra hour of zzz’s, and snooze right through. As a movement specialist and teacher of the Feldenkrais Method, I’m very intrigued by all of this springing and falling, and with figuring out how to help people (and myself) to manage it all. The language with which we describe something can determine how we experience it. So, rather than associating “springing” with a surprise deception, I can use other associations. I can think of being poised to pounce upon a great opportunity, or to be flexible, powerful and buoyant, storing energy and potential within my coils. I can also think of the beautiful Comal Springs in New Braunfels, TX, where my kids grew up. The springs bubble forth, cool and refreshing, fed by the immense Edwards Aquifer. The spring flows decrease during times of drought. The springs can only spring if they’ve been fed and nurtured from within. I like these images of “springing” because my imagination is stimulated to action and ease. I actually begin to feel that I would LIKE to spring forward, and that I am ready and able to do so. Likewise, the “fall back” needn’t be imagined as a defeat or a danger. Imagine the effortless grace of the martial artist, falling and rolling with it, to stand right up again. . .
There’s a difference between “Time” and “Timing.” You can know what time it is, yet not know (sense, feel) what it’s time FOR. Time is an outward construction. Timing is the inner experience, the sensation of proper sequence and order in action. My cats don’t care what time it is (we’re not quite sure if they can actually tell time, or if they understand English, for that matter). For them, it is always Now, as in pay attention to me now, scratch my chin now, let me out now, feed me now. They respond easily in the present moment, always knowing when the time is right. Spring and Fall, like yin and yang, are two points on a continuum. Transitions are smoother when you can flow among many options, rather than bouncing from one to the other. You can learn to be springy, buoyant, flexible, and adaptable as appropriate. You can also learn to sense when you need rest and recovery. We need practice along the full spectrum of possibility. Join me in an experiment, an exploration. Let’s let it be Now. What possibilities are available to you Now? Whether to eat, sleep, work, walk, play, what is available? Which choice moves you in the most positive direction? When it’s Now, you can take intelligent action. You have to think, and move, and sense, and feel. You’ll know when the time has come.